I am happy to announce that I have integrated new software into my website so that you may order prints direct! It has never been easier to order prints online from me! The software links to ProDPI in Colorado. They process, print, and ship your order direct to you. Because my art business is still so young, I was at first hesitant to let another company handle part of the transaction. I would prefer to receive all orders myself and then ship the prints to you in my packaging, but that adds days to the timeline of processing the order and the shipping lead time. So, because of your sanity and desire to have Nate Metz Art on your walls I have moved ahead with this system to order prints online. I’d love to know what you think: convenient? easy? quality of prints? 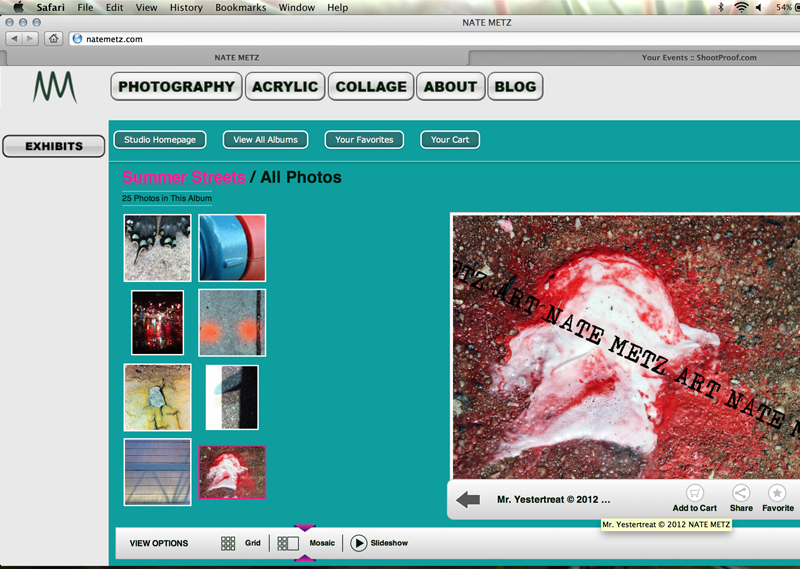 This entry was posted in gallery, info and tagged exhibit, photo by natemetz. Bookmark the permalink.